Rest Day 5/9/13: What’s your game plan for Jackie? – Share! 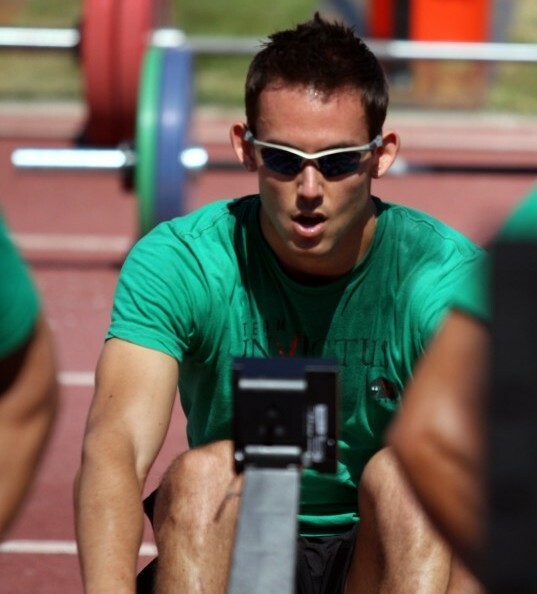 Come learn to crush Jackie from Head CrossFit Rowing Coach Shane Farmer! June 8-9 in Boston! What’s your game plan for Jackie? It’s been announced! No 2k to start Regionals, but a Rowing WOD that’s just as good, Jackie! 1k Row, 50 Thrusters, 30 Pull Ups. What’s your strategy? Do you go all out on the 1k and hope you have enough to recover during the thrusters? Do you ease up at the end of the 1k to save the legs and go faster on the thrusters? Do you just hold a consistent pace so you can sprint through the thrusters and pull ups even faster? We will be performing Jackie early next week so that competitors have an idea of what they’ll need on game day. This entry was posted in Motivation, Our Mission and tagged exercise, functional movements, new sport, row 2k, rowing, sports, training by Renegade Rowing. Bookmark the permalink.